These days, the cost of cable TV is skyrocketing. With the average cable bill exceeding $100 a month, this is one area where many folks could easily save a ton of money. And thankfully, cable is far from the only option any more. Today, there are tons of cable alternatives that can help you save money. One of those is Sling TV – and we’ll learn a bunch more about this valuable service in our detailed Sling TV review. Fortune reports that the average cable bill is now approximately $103 per month. That’s pretty crazy! Compare this to the Sling TV cost of as low as $20 a month, and you can easily see why this service has sparked such an interest among savvy savers. Better yet, Sling TV offers a free 7-day trial, and never requires a contract! But before we get ahead of ourselves, let’s start with the basics: What is Sling TV, anyways? So, you can use Sling TV to watch live sports, news coverage, movies, and the latest TV shows – both live, and on-demand. You can check out the full Sling TV channel list further down this page to see all the channels that are available. You can watch at home on your TV with the help of a streaming device (Roku, Apple TV, etc. ), in bed with your laptop, or on the train ride home on your mobile device! How Much Can I Save with Sling TV? If the average cable bill is $103 per month (and rising quickly), that means that the average person is spending $1236 a year on cable TV! Sling TV, on the other hand, costs just $20 per month, or just $240 per year. That’s a savings of nearly $1,000 each year, just by ditching cable and signing up for Sling TV! Not to mention, there’s a free 7-day trial, which will save you an extra couple bucks, and will bring your total savings for the first year to $1,001. It just seems like it’s meant to be, doesn’t it? New devices are being added all the time. And, if you don’t have one already, Sling TV actually offers a free streaming device to members who sign up and prepay for a few months in advance. The specifics of this deal vary, but there’s always a great deal to be had. How Does Sling TV Work? What Do I Need for Sling TV? To use the service, you’ll need a compatible Sling TV device. Chances are, you already have one (see the list above). If not, you can get a free streaming device during the signup process. Sling TV works over the internet, so in order to use the service you’ll need a decent internet connection. It can be wired or wireless (depending on the device you use). Speed requirements vary, but just keep in mind that the speed of your internet connection will affect the quality of the stream. Sling TV has 3 basic packages available, with tons of add-ons to choose from, as well. You can see the details in the Sling TV channel lineup section below. You can choose from as few as 30 and as many as 150+ channels – so, suffice it to say, there’s plenty to watch! All packages offer a free 7-day trial, as well. Once you’ve signed up for Sling TV, simply download the appropriate app on your device, and sign in. From there, you’ll see the Sling TV interface which functions similarly to a cable interface. You can choose to browse what’s currently on, skip to your favorite channel, or check out the on-demand library. Now, the fun part: once it’s all set up (which can take as little as 5 minutes, really), you can cruise through the Sling TV channels and pick something to watch. From here on out, it’s pretty much the same as having cable (except you’re paying 1/5th of the price!) Shows, events and sports will air at the same time that they air on cable TV, so it’s really no different. What Are the Main Sling TV Features? No Sling TV review would be complete without a list of features! There’s no shortage of great features, which are outlined below. Also, keep in mind that some older Sling TV reviews might be out of date, simply because this service is expanding and growing so rapidly. We’ll keep this Sling TV review as up-to-date as possible. Watch Anywhere – perhaps the biggest benefit of having a Sling TV membership is that it lets you watch live TV literally anywhere. You can watch from home, on the train, on the bus, at work (risky!) or at your boring family reunion. Anywhere that you have internet or cell signal, you’re good to go! 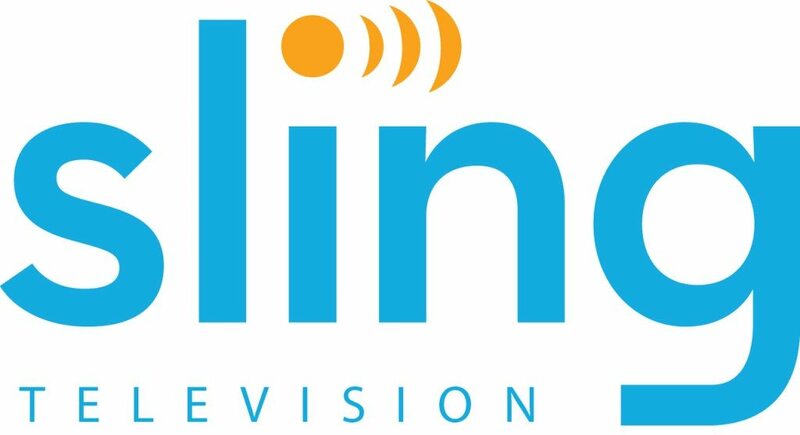 Live & On Demand – Sling TV is primarily thought of as a live streaming service, which is true, but it’s also got an impressive on-demand library which currently boasts more than 38,000 movies, episodes and events on-demand. That’s a lot to catch up on! Newer content rotates in and out of the on-demand library, similarly to cable TV. Record Using the DVR – Sling TV is currently in the process of rolling out a cloud DVR feature that lets you record, pause, and rewind live TV. The feature is in beta right now, and only available on select devices, but it should be fully rolled out shortly. Easy Navigation & Interface – the Sling TV interface is pretty intuitive and easy to navigate. You can browse What’s On, save channels and shows to your favorites list, see the upcoming schedule, and cruise through the ever-growing on-demand library with ease. Incredible Channel Selection – the Sling TV channel list is incredibly impressive, honestly. The basic package is a great starting point, covering many of the most popular channels. But where it really gets interesting is the add-on packages, which can boost your viewing options up to 150+ channels! Personalized Channel List – Sling TV has 3 base packages, and 10+ add-on expansions. This is great for folks who want specific types of channels. You can start with one of the base packages, then add on more sports channels, more news channels, more lifestyle channels, more kids channels, etc. Most add-on packs are only $5 extra a month, and include generally 5-10+ additional channels. Premium Channel Add-Ons – there are several premium channel options that you can add on to your subscription, including HBO, Showtime, Starz and Cinemax. What is the Sling TV Channel List? Looking for the complete Sling TV channel lineup. You’ll find it below, in all its glory! Note that we keep this list as up-to-date as possible, but Sling TV is constantly adding new channels, so this may or may not be 100% complete. This is one area where a ton of older Sling TV reviews may be wildly out of date, simply because the service has been expanding so fast! Sling offers 3 “base” packages: Sling Orange, Sling Blue, and Sling Orange + Blue. Details below. All packages offer a free 7-day trial. Sling offers around 10 different add-on packages, most of which cost $5 per month extra and are built around a single theme, like sports or lifestyle. All add-ons offer a free 7-day trial as well. If you want to add premium channels, you can add HBO, Showtime, Starz or Cinemax. Note that these channels don’t include a free trial. Without further ado, here is the list of channels on Sling TV, broken down by packages. Best for: Anyone who wants a great selection of national channels at a low price. Note: does NOT include local channels like FOX, NBC, or regional sports networks. Free trial? Yes, there’s a free 7-day trial. Best for: Anyone who wants a great channel selection with the addition of local channels like NBC and FOX (in select areas), plus regional sports networks and more. Note: Does NOT include ESPN channels or Disney channel. Free trial? Yes, there is a free 7-day trial. Best for: This is the best of both worlds between Orange and Blue. It includes all of the channels, so you get everything listed above, including ESPN, FOX/NBC (in select areas), local sports networks, and more. Next up, choose any add-on packages that you want. As you can see, there’s a Sports package, a Comedy package, a News package, and much more. Most cost just $5 per month extra. The 4 extras deal is a pretty excellent deal, as well. This gives you the Kids Extra, Comedy Extra, News Extra and Lifestyle Extra packages, and costs just $10 extra per month. This adds approximately 40 extra channels, for just 10 bucks a month! And lastly, choose any premium channels that you would like to add. Take note that HBO and Cinemax don’t offer free trials, so you’ll pay for those from day one if you choose to add them to your package. So far, our Sling TV review has been pretty fact-based. But what do we actually think about the service? Well, we like it. We like it a lot. The base package provides substantial value for only $20 per month, and offers enough channels to keep many folks happy. And with the ability to add extras for as little as $5 per month, it’s easy to customize your ideal channel lineup. The customization factor is perhaps the most valuable part of this service, because it allows you to fine-tune your channel selection and avoid paying for channels that you’ll never use. Another thing we really like about Sling TV is that it’s a non-contract service. That means you can sign up today, and cancel tomorrow if you so choose. There is NO commitment required. The free 7-day trial even gives you a chance to try the service out without spending a dime. And, if in the future, you decide it’s just not for you – cancelling Sling TV is as easy as clicking a few buttons online (no call-in required). If you read other Sling TV reviews, you’ll find that we are not alone in our positive opinion of the service. And with cord-cutting exploding in popularity, more and more folks are taking the leap and leaving cable for “greener pastures”. So, why not cancel your Comcast cable subscription, sign up for Sling TV’s free 7-day trial, and enjoy saving money hand-over-fist, while enjoying more or less the same selection of channels. Then, start thinking what you’re gonna do with your $1,001 in spare cash!